ITS consists of fee-collection station, tunnels, parking, service areas, substations, etc. ITS is a highly sophisticated system with many sub-systems interconnected as a whole system. 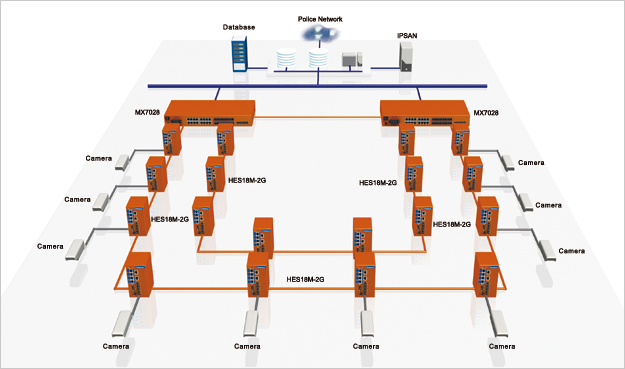 IP based network communications greatly simplify and improve the interoperability of the sub-systems, while keeping the flexibility and expandability for future development. Patent-pending RingOpen from Henrich Electronics provides the ultimate network redundant recovery scheme. RingOpen allows the third party devices to join the network without any interruption to the redundancy of the network.